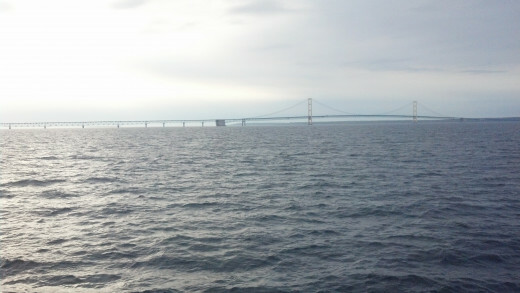 The Mackinac Bridge links the Upper Peninsula of Michigan to the lower Peninsula of Michigan. Going south Lake Michigan is on the right Lake Huron on the left. 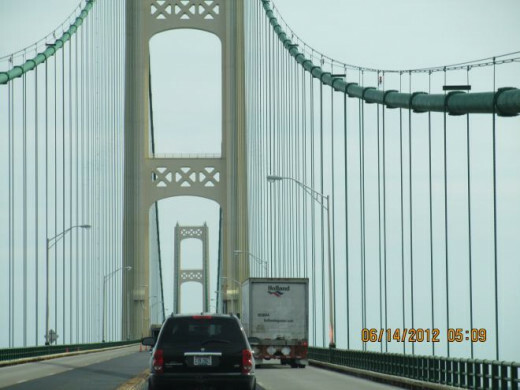 The Mackinac Bridge is truly a magnificent structure. One can see for miles. There are a host of islands which can be seen from the bridge. I am always impressed by how many radio stations are available to while crossing the bridge. Crossing the bridge at sunset is breathtaking. The bridge about five breath taking miles long. Windmills grace the landscape. My experience is the wind is almost always blowing sometimes to a point of making the drive a white knuckle event. Many people find the drive intimidating. Don't worry the Bridge authority will drive for you if you choose. I find driving the bridge a rush. Walking down by bridge at night is a beautiful experience with the wind blowing off the lake and the pretty colors of the bridge. 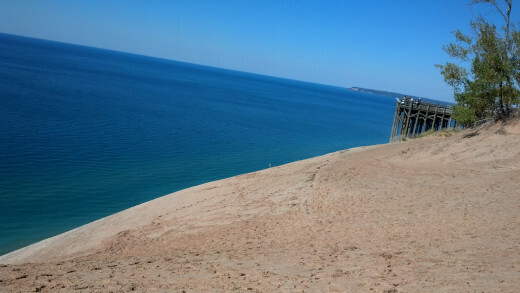 There are may beautiful spots to view the bridge from the shores of Lake Michigan. 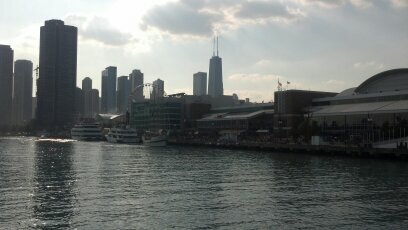 Way at the other end of the lake is one of the nations busiest cities Chicago. 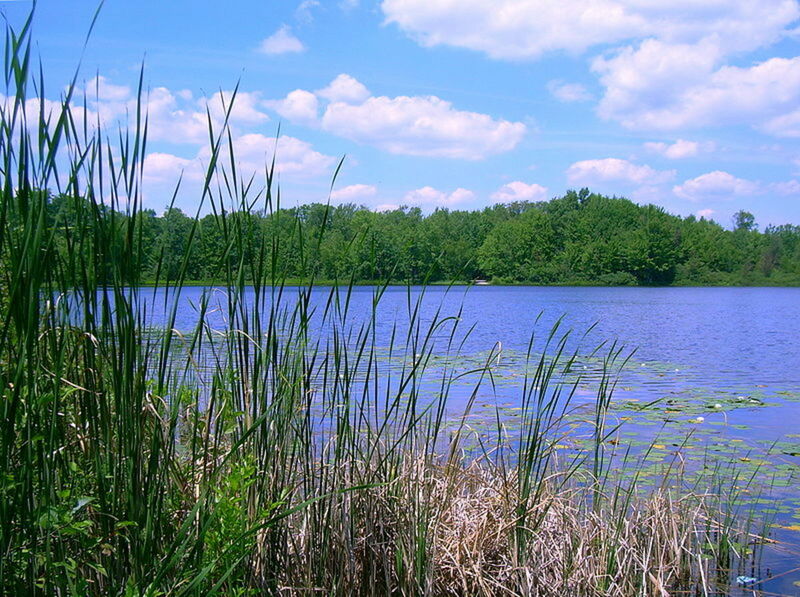 The shore is mostly urbanized from Indiana near the Michigan boarder to about 20 miles north of Milwaukee. 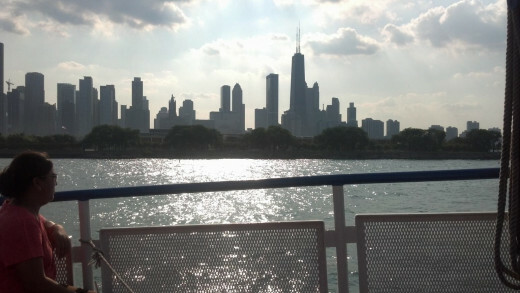 There are so many things to do at the lake shore in Chicago. 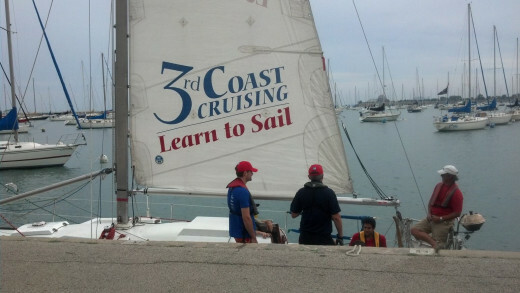 Boat tours, water taxis, sailing swimming and more than I can list. I do recommend to anyone visiting the area to try the water taxis. A day pass is quite inexpensive and one can ride much of the river unlimited for a day pass. There is a taxi which runs from Navy Pier to the museum campus which provides a beautiful view of the skyline. In a busy city the lake provides a solace. I will let the pictures speak for themselves. Out in the water the stress of the city is far away. 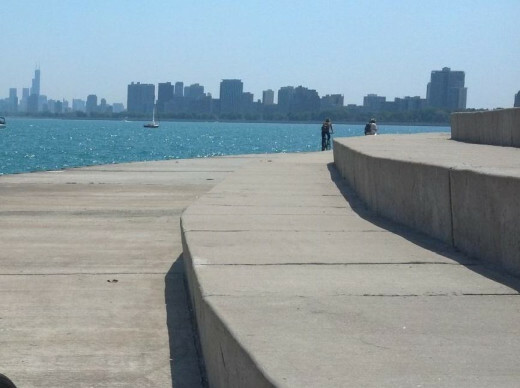 There are miles of bike paths along the lake shore. I love Lake Michigan. 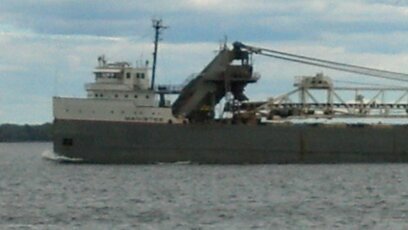 One of my favorites is Escanaba. The beach is never crowded but sandy. You can walk out a long way without going in over your head. 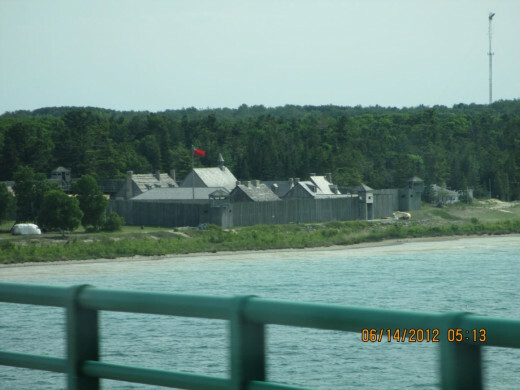 Escanaba has some very nice local restaurants and prices are much more favorable than other cities on the lake. 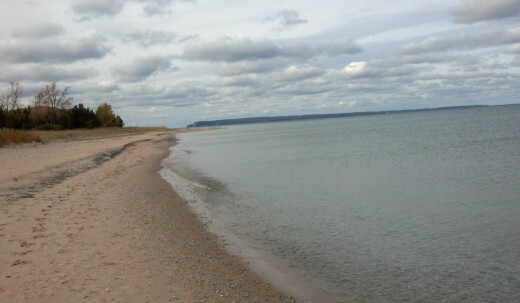 There is a very nice bike path which will run from the beach in Escanaba to Gladstone. 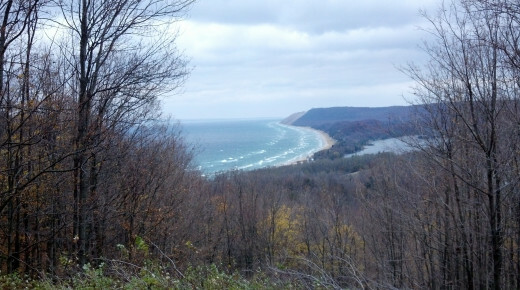 For a spectacular view see the Sleeping Bear Dunes. You will need a National Park pass for this area but it is well worth it. 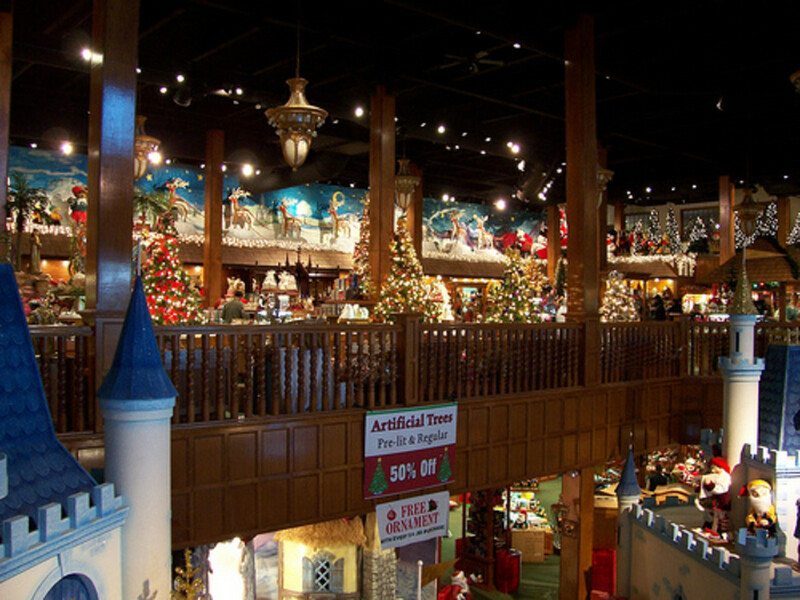 I have spent hours here and plan to spend more. There are some nice bike trails in this park but I will warn you be in shape. These are not old rail road grades. There are some real hills. A camera just does not do the lake justice. Nice walk along lake in Glen Haven. 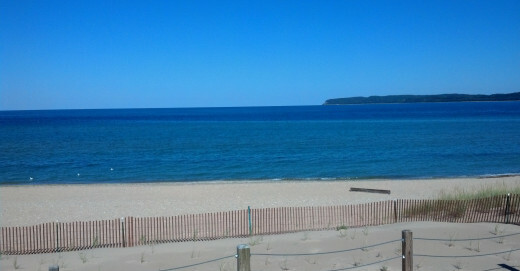 You can see South Manitou Island in distance. Patrick Cudahy Park in the South Suburbs of Milwaukee. I have to say I love the lake but my favorite spot is Grand Haven. The beach is sand with no rocks. The water is usually very clear. 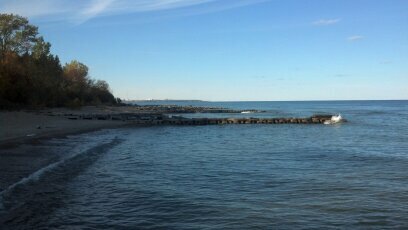 You can take a walk out on the pier and walk out to the lighthouse. I have walked out to the lighthouse many times in the winter. Often bald eagles can be seen at the mouth of the Grand river standing on the ice waiting for fish. I have to say I like Milwaukee the least. 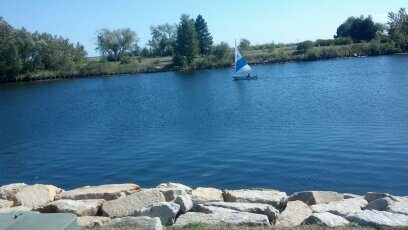 At Patrick Cudahy park on the south side a lot of bricks were dumped by the lake shore years ago. Today these bricks have been shaped by time and are quire unique. 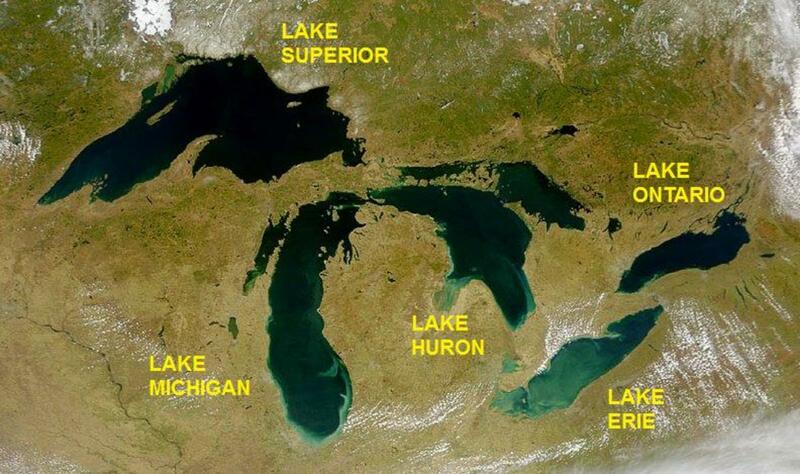 Enjoy Lake Michigan. I do. Thanks Suzanne. Right now it is pretty cold and nasty there but in the summer time I could spend hours there The water is clean, the air is fresh and after a swim in the cool water any food tastes great. 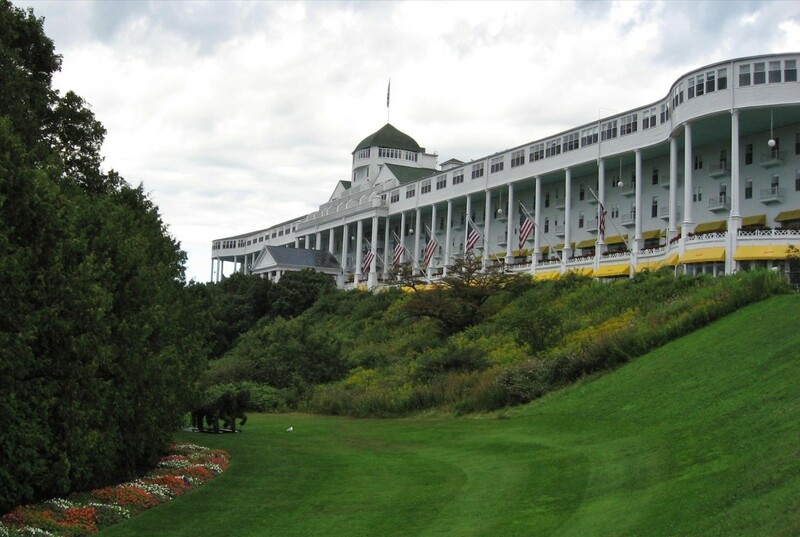 I have never been here, but if I was going, I would go across the bridge with the many radio stations and visit the Sleeping Bear Dunes, which look like a great picnic spot! 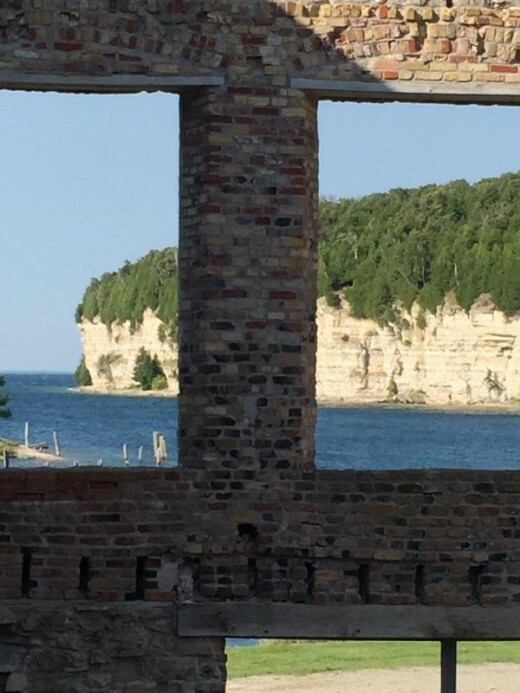 Thanks for this look at Lake Michigan from one of its friends. 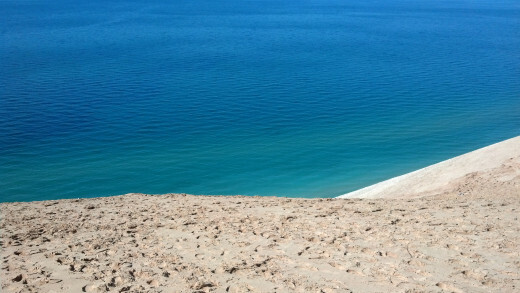 Seeing the hills at Sleeping Bear Dunes would be amazing.